Truck Driving Jobs – Local – GUARANTEED PAY – $1,125/wk! Get Home Weekly or More + Avg. 62 CPM! CDL A Truck Drivers – Stop worrying about how much you will make each week. 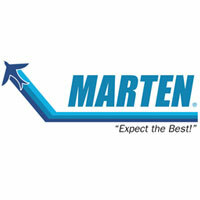 Marten has a great dedicated, local opportunity, so you can earn top pay. Drivers get GUARANTEED Pay of $1,125/week and average 62 CPM. Plus get home weekly or more! With Marten’s Exclusive Pay Boosters, including detention pay, weather stop pay, breakdown pay and more – all starting the second you stop! Our drivers average 62 CPM. Call now – There are limited opportunities available! Guaranteed Pay – $1,125 per week!